The rise of Imran Khan to the slot of prime minister, which he desperately craved for decades, has given rise to a wave of euphoria mainly amongst the petit bourgeois. With the thinly concealed backing of the top brass, the political engineers have crafted a relatively weak government and a split opposition to suit yet a newer version of their structured political setup. The frenzied petit bourgeois, Khan’s main bastion of support, has gone berserk, going to the extreme of portraying him as a demigod who supposedly was being awaited for generations. Even some of the relatively sane writers and intellectuals have given in to this delusion. In the corporate media’s manic campaign for Khan’s ascendancy, he was eulogised to the skies. This comes even after a manipulated election tainted with blatantly selective rigging as manifestly reported by the serious international analysts. However, the serious economic experts of the PTI have belatedly acknowledged the daunting challenges for Pakistan’s dire macroeconomic condition. As they edge nearer to taking power its economic gurus seemed worried about the acute and fragile economic situation. Pakistan is on the verge of a balance-of-payments crisis, which threatens the stability of its currency and its ability to repay debts or pay for imports. Pakistan’s debt and liabilities have sharply risen to nearly Rs30 trillion or 87% of the total size of economy. It was mainly due to the expansionary fiscal policies to raise the growth rates of a county with a debilitated economic base through deficit financing of mainly the massive construction projects such as the CPEC. This is combined with falling ratios of the revenue from direct taxation that Pakistan’s bourgeois has not and shall not pay. Its socioeconomic existence as a class desperately needs tax exemptions, criminal state concessions, loan right-offs and plunder of the exchequer and society to keep up their rates of profit. Its budget deficit has grown from 4 per cent to 10 per cent of GDP. Imports have skyrocketed, mainly due to rising oil prices and CPEC equipment etc. Between July 2017 and March, about 70 per cent of the country’s import bill was for energy, machinery and metals. Meanwhile, exports — mainly textiles — have increased only slightly. As a result, the country’s foreign currency reserves declined to about $10.3 billion. This covers merely two months of imports. The rupee has been devalued four times since December, fuelling inflation. Pakistan has gone to the IMF repeatedly since the late 1980s. The last time was in 2013 when Islamabad got a $6.6-billion loan to tackle a similar crisis. Today, the country needs at least $12 billion according to PTI’s economic Czar, Asad Omer himself. If approved, it would be Pakistan’s largest-ever bailout. But it has not yet completed repayments on its previous loan, which could limit its current leeway with the Fund. Khan promised to create an “Islamic welfare state”. But such a plan would require unprecedented public spending. It could be stillborn if the economy tanks. “We will have weeks, not months” to act, Asad Umar confessed to the Financial Times last Thursday. Pakistan’s main English newspaper quote Omer, “All options are on the table… the new government is considering privatizing all state-owned companies, including the once illustrious, now debt-laden Pakistan International Airlines.” But the terms of any new IMF bailout will be much harsher than in 2013, mainly due to the country’s taut relationship with US imperialism, one of the Fund’s biggest donors. The US has warned that it will be watching closely to ensure Pakistan does not use IMF money to repay debts to China, under its Belt and Road Initiative’s Pakistan sector, CPEC. There are unconfirmed reports of a recent $2 billion loan from China and another $4.5 billion from Saudi Arabia. In any case, Saudi funds would only be used to buy oil. Imran Khan also has a mistaken notion that his anti-graft campaign and clean government will improve the country’s image abroad, hopefully attracting investors who have been spooked by instability and structural issues in recent years. 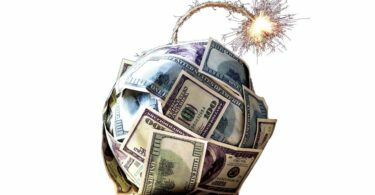 In reality, the present world capitalist economy that has yet to make a healthy recovery from the crash of 2008 the dearth of new investment is a worldwide phenomenon. Pakistan’s situation is more precarious due to the rottenness and crony nature of its capitalism. The World Bank has ranked Pakistan 147th out of 190 countries last year for its business climate. Imran Khan also thinks that his government will dramatically boost tax revenues. But if and when Pakistan’s corrupt bourgeois pay their full taxes and comply with industrial and labour regulations they cannot maintain their profits and cannot have the social and political clout in the state and politics. And there are abundant members of this class in the top echelons of the PTI. Any serious attempt to squeeze them to comply with the laws will ignite an intense crisis in the PTI’s government and the party. After all, Imran Khan believes in capitalism and he has inducted these billionaires from the formal and black economy that have financed his party all along. 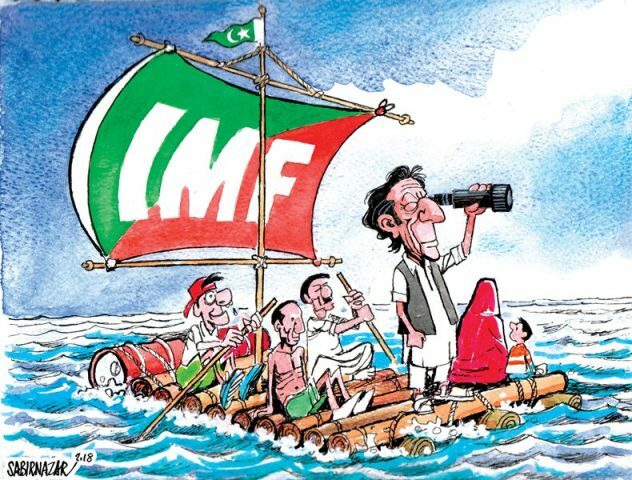 The IMF’s vicious conditions will include massive privatisations, more labour reforms, expansion of the tax base, increase in the interest rates and further devaluation of the rupee. These stark measures will further worsen the socioeconomic plight of the ordinary masses. Privatisations of these state enterprises will lead to more redundancies and sharply increase the prices of their products. These labour reforms will mean an end to permanent employment with pensions and other benefits into 19th century contract labour that is prevalent in the private sector and in the black economy projects with atrocious conditions for the workforce. Whatever taxes are imposed on companies and businesses these will be passed-on more cruelly in price hikes onto the ordinary consumers. The increase in interests rates and further devaluation of the rupee will shoot up inflation and increase of the import bills of oil and so many other basic necessities will have an agonising impact on the oppressed classes. But then “People would be in the streets. It would be the end of Imran Khan,” predicted Hafeez Pasha, the former finance minister and one of Pakistan’s serious bourgeois economists. But Pasha doesn’t have a solution either. The simple fact is that under capitalism with its present crisis and aggressive nature social welfare state is a utopia. Even in the advanced capitalist countries the crisis of this system is forcing the ruling classes to dismantle the social welfare state that the working classes had achieved after long struggles. With the catastrophic condition of Pakistan’s capitalism, such promise is vile trickery. Imran’s Khans delusional euphoria will end with a terrible hangover. The toiling classes have no option but to enter the arena of history to launch an irreconcilable class struggle to overthrow this inhumane system.